Herewith please find, the Sassy, Slithering, Snake-tastic Shanghai in python! Take note that Shanghais have a deliberately mismatched design. Big python scales on your right foot, smaller, cuter?! scales on your left. Why so? Maybe because it's hard to decide which one looks nicer, so with this, you get the best of both worlds? Why do you think these Python Shanghais are mismatched? The person with the most interesting answer gets 10 points. If you create a look with the python Shanghais, you automatically get 5 points. So whoever comes up with the most points, wins a pair of python Shanghais! Deadline for entries is on September 28, 2011. Sssssaaali na! *Note: Miss-Match styling portion of this contest was coordinated with the LabRats. Aside from wanting to stand out and aim for uniqueness, one other reason why Phyton Shanghais are mismatched is because of the difficulty of catching a phyton to come up with such fashionable item. 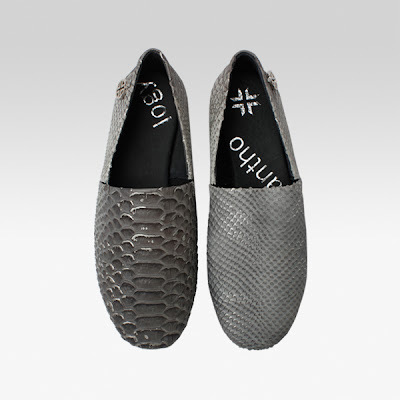 Python Shanghai are mismatched coz it's an eternal quest to find the other matching pairs. but what will happen if you find the other pairs? nobody knows... yet... it's still a mystery. If you're gonna ask me why they're mismatched? Baka some other creature went inside the Antho HQ, probably a bigger python snake, ate the right pair. Akala niya siguro rat. So after kumain nung snake, bumakat yung shanghai dun sa stomach niya. Then na spot ng mga tiga Anthology Shoes and na realize nila na bagay din pala if bigger scales. 1) Like Anthology Shoes on Facebook + MFO on Facebook - DONE! 2) Follow @AnthologyShoes + myself @cd_mfo on Twitter - DONE! I think different Pythons were used to get their skin. Anaconda has bigger scales. lol! I think the reason why the Python Shanghais are mismatched is to give consumers a choice to be different in style, than the usual python-skin shoes. This deliberate mismatched can give an outfit a different oomph! Because it is the natural characteristic of the animal skin. 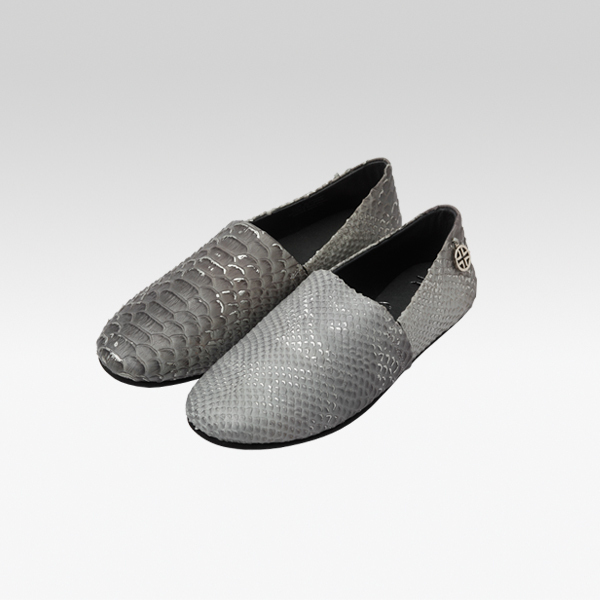 i think these Python Shanghais are made mismatched because most women find it hard to choose over two designs. i just had that dilemma last week when i wanted both style of the same design. i wanted to stand apart from the crowd, take my outfits from fashionable to edgy! this design is like the lightning in every storm, you never know when it will strike but when it does, you just want to stop and look at it! ooops! i'd have to leave the answer as a comment nga pala, so, here goes! The story begins with the research team of Anthology wanting to make the best Python skin Shanghais out in the market. To do this, they realized that the key to making the best shoes is to have it look relistic. And so, the team then went to the woods to search for and interview pythons. "We really do not know what makes shoes attractive. We do not wear any. ssssssssss. But if you pursue with the project, we would appreciate a complimentary pair for my wife and I's house, for us to display." "I hope that the left shoe will look a lot like my scale pattern, and the right shoe be a lot like my wife's. We will truly treasure a pair of shoes that would represent us, being different in so many ways but absolutely meant for each other." The research team's eaureka moment left them in awe. They knew what their inspiration would be. It's the contrast between fierce pythons and meek, unconditional love. Hence, the birth of the mismatched PYTHON SHANGHAI. The python shanghai's are mismatched to be undoubtedly distinguished and unmatched. Because the python's known for its color and texture variations, it's perfect for anthology to produce such pair to emphasize the uniqueness of the sophisticated and exquisite snake. Well, I think this shoes are mismatched so that they are different from the existing designs of shoes in the market hence offering choices to the trend seeking crowd.And they want to emulate the look of real phyton skin which is ,mismatched color and texture..
this pair is fab! It looks so comfortable! I think it's mismatched because it will make you stand out more and it also makes the pair more versatile since it has two different designs, it will go with a wider range of styles and will give you more style mileage than a regular pair of shoes. 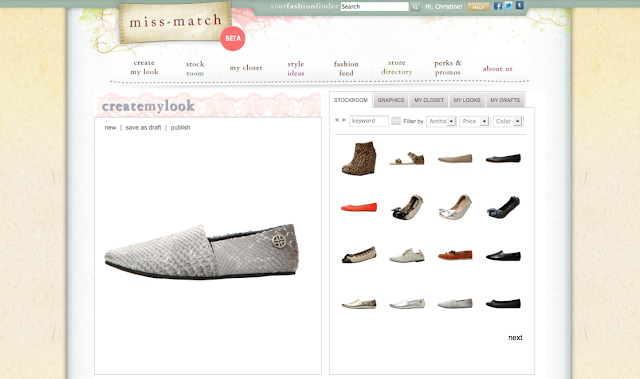 Following you and anthology shoes in twitter and facebook! Done with the first 2 steps. Have already sent screen-capped look I made with the shoes earlier. Done with all the required steps! :) I also sent a screen cap from miss-match! These lovely Python Shanghai pair actually came from one python. The big scales on the right are from the ventral or belly part of the python. The small scales on the left are from the dorsal or top side of the python.